Controversial and embattled legislator, Senator Dino Melaye has finally and reportedly surrendered himself to the police to be arrested after the latter laid siege in Melaye’s Abuja residence for seven days. However, the Senator refused to give himself up to the police, arguing that he was not in Abuja. Melaye at the moment is standing trial in more than one case, as he has also been accused of illegal possession of arms, gun running and sponsoring hoodlums in Kogi State. In another case, Melaye was accused of a six-count charge, bordering on attempted suicide; attempt to escape from custody and damage of police property. Speaking, Police image maker Jimoh Moshood stated that the shooting and injuries on a police officer by Senator Dino Melaye and his armed thugs in Kogi State on July 19, 2018 necessitated his arrest. He added that the police officer has not recover from the gunshot injury he sustained during the attack and that the officer was under intensive medical care. 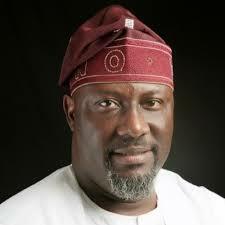 Be the first to comment on "Finally, Melaye Surrenders To Police"